This guide will teach you how to quickly delete an application from your Mac that was downloaded from the Mac App Store. This method uses Launchpad. If you don't still have the Launchpad icon in your dock, open Spotlight by pressing CMD-SPACE and then type "Launchpad" and press ENTER. The apps you can delete will start to jiggle and show an x icon. If the app shows an x it can be deleted. 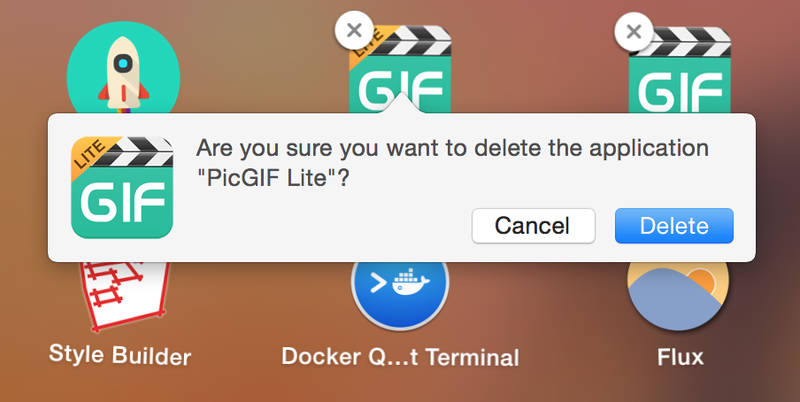 Confirm that you want to delete the app by click Delete or simply hitting enter.